Although fewer than 5% of sleep apnea cases are categorized as cases of central sleep apnea, a basic understanding of central sleep apnea - its causes, risk factors, symptoms and treatment - is important for all CPAP users. It's important because central sleep apnea can become a chronic condition with variable causal factors, which may or may not exist at the time a sleep study is conducted. Knowing about central sleep apnea can also help CPAP users to know which CPAP machines to exclude from their shopping lists - specifically, the ones designed to treat patients with central sleep apnea. After all, a CPAP user doesn't want to pay a bunch of money for a machine designed to treat a condition he doesn't have. Under normal circumstances we all pretty much take breathing for granted. It's something that just happens without us thinking about it, so most people don't know what's going on to make us breathe automatically. To understand Central Sleep Apnea, it's important to have at least a very basic understanding of why we breathe in the first place. During respiration different parts of the nervous system control the autonomic respiration response during sleep and wakefulness. When a person is awake, the breathing system is under "behavioral control", with particular areas of the brain providing non-chemical stimuli to induce respiration. When a person is asleep, the breathing system is under "chemical control', with the level of arterial carbon dioxide tension becoming the primary stimulus for ventilation during sleep. When there's a problem with the chemical control mechanism, breathing can stop. Incidentally, because the CO2 levels during states of wakefulness don't normally reach the apneic threshold, central apnea doesn't normally occur during states of wakefulness. During sleep, when the CO2 level becomes sufficiently low, there is no other stimulus to force breathing. When this happens, the airway can be wide open, without any ventilatory effort taking place. Central Sleep Apnea is generally defined as the condition in which airflow stops for 10 seconds or more, with no indication of respiratory effort. Usually, the airway is unobstructed, although the airway can become obstructed due to the central apnea condition, resulting in mixed apnea, or a combination of obstructive sleep apnea and central sleep apnea. Central sleep apnea, then, is different from obstructive sleep apnea, during which airflow stops due to an obstruction, with respiratory effort being made. In obstructive sleep apnea, the body is making an effort to breathe, but can't due to the obstructed airway. In central sleep apnea, the body is not making an effort to breathe. Central Sleep Apnea can be caused by a number of factors, including the onset of degenerative diseases, neurological disorders and heart failure, as well as changes in environmental conditions like an increase in altitude (think mountain climbing or skiing) or the use of narcotics or other drugs considered to be central nervous system depressants. Even considering environmental conditions, patients who suffer from central sleep apnea are usually already severely ill with another form of disease, and the central sleep apnea is, in itself, a symptom of that disease. Central apnea can occur without the presence of any factors mentioned above, in which case it's considered an idiopathic condition. This can be a slightly misleading characterization, though, because something has to be abnormal for the respiratory system to stop its normal ventilatory effort. Specifically, the threshold or trigger for arterial carbon dioxide tension levels to be considered apneic could be abnormal in an otherwise seemingly healthy person presenting with central sleep apnea. Since the respiratory system depends on feedback in the form of chemical levels to stimulate ventilatory effort, then it's clear that a defect in the feedback loop can cause breathing to stop, even when the airway is unobstructed. Further, ventilatory instability could result from the respiratory system's compensation for changing oxygen and carbon dioxide levels (chemicals) in the body. I think of a an airplane pilot following a heading. He might overshoot the heading, and then turn back to get back on track. In turning, he might overshoot again if he's not careful. The pilot needs to use small, incremental control inputs so prevent "instability" in his flight path. This type of over-compensation (ventilatory instability) by the respiratory system to chemical stimuli can also cause breathing to stop, and it can cause other patterns of breathing like Cheyne-Stokes respiration, periodic breathing, Biot's respiration, and other sleep disordered breathing patterns. A discussion of the nature of such defects and why they might occur is beyond the scope of this article, but all the potential causes are quite interesting, nevertheless. lower cognitive ability, like forgetfulness, lack of concentration, etc. Several therapy methods can be used in an attempt to treat Central Sleep Apnea, including oxygen therapy, CPAP therapy, bilevel therapy and a newer form of PAP (positive airway pressure) therapy called Adaptive Servo-Ventilation (ASV). If you've been diagnosed with Central Sleep Apnea, you'll likely be prescribed a special CPAP machine like the ResMed VPAP Adapt SV or the Philips Respironics BiPAP autoSV, because these types of machines have been proven to treat CSA more effectively than other traditional forms of PAP therapy. If you have Obstructive Sleep Apnea you don't need a CPAP machine with the SV designation. You'll need a regular CPAP machine - like the System One REMstar Plus, or the System One BiPAP Auto - which can be purchased at a much lower cost than a machine designed for treating CSA. As always, we'd be happy to answer any questions you have about sleep apnea. Whether you have been diagnosed with run-of-the-mill OSA or the more difficult-to-treat CSA, we can recommend the correct CPAP equipment for you. Call us or email us to get started down the right path to effective therapy. CPAP-Supply.com is a leading online retailer of CPAP equipment. Located in Spokane, WA CPAP-Supply.com has been serving thousands of customers around the world since 2001. Founded on a belief that patients are their own best primary care providers, CPAP-Supply.com understands the importance of educating patients and customers on both the effects of and treatment for obstructive sleep apnea. 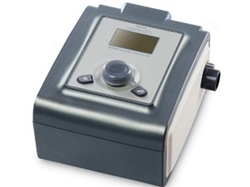 For more information visit CPAP-Supply.com or call toll free 1-888-955-2727. Note: This article is not intended to provide any specific medical advice. Consult your physician if you have any questions about the information contained within this article, or if you have questions or concerns about your diagnosis or your current therapy regimen.